I'm weeping like a blubbering idiot! 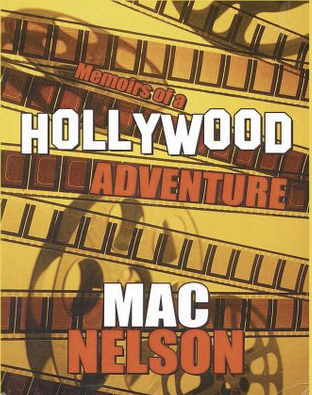 I just finished reading Mac Nelson's Memoirs of a Hollywood Adventure. The last time I wept this hard while reading something was when I read the same conclusion to Mac's manuscript before it went to press. Insert from March 2015: It just made the cover of Christian Filmworks Magazine, which also included an article on Phillip Telfer, who runs the Christian Worldview Film Festival! I met Mac when I first moved to New York City. 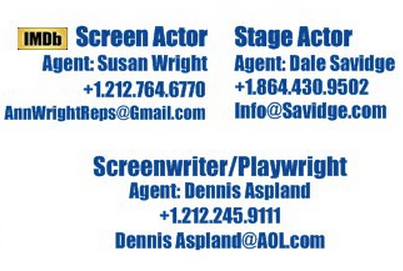 The stories in his book are the ones that inspired me as I was first starting out as a professional actor. Mac's the best storyteller I've ever heard, and every time I introduce someone to Mac I beg him to tell one story after the next. Now they're all (well most of them are) in this fabulous book, and Mac's writing is even better than his storytelling! I found myself laughing or crying on almost every page. Yes, there are the requisite references to his personal experiences with the famous and the infamous--Was Jerry Lewis a "nice guy" or not, what was Roy Rogers really like, are Hollywood producers just like the movies portray them, and just who was that blood soaked young man Mac enountered running down the street the night a famous Hollywood murder took place? This book is fun to read as a true and fascinating tale of one young man's journey from backwater Missisippi to Tinseltown, What makes it special is that its more than just an account of what its like to land broke and alone on Hollywood Blvd and trying to make it BIG in the movies. It's also an insightful, heartwarming coming of age story--a journey of insight discovered and maturity found that results in the acheivement of a kind of spiritual Oscar--for "best human being". If you like stories about Hollywood, if you ever wondered what it would have been like if you had sought your big break in the movies, and especially if you are a young person planning a career in film you will want (strike that...you NEED) to read this book. You'll also love Mac's other book, Waiting for My Fingers.